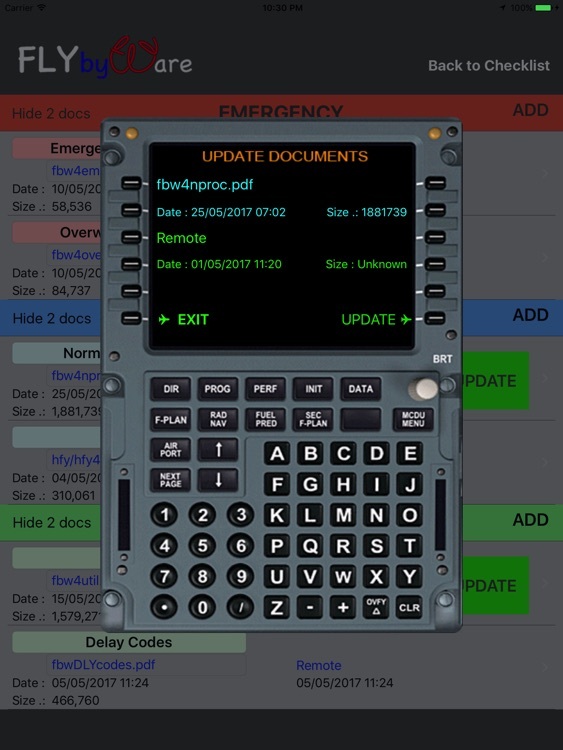 - EFB Normal procedures checklist for any airplane. 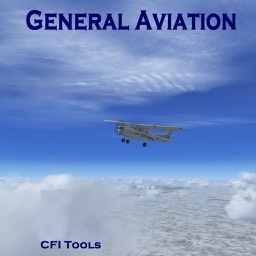 - Complete interactive system between Flight Ops and Cockpit through "cloud storage system files". Cloud Cockpit concept. 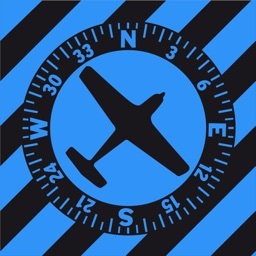 - All cockpit paper documents stored in digital documents and available within the application for easy access. 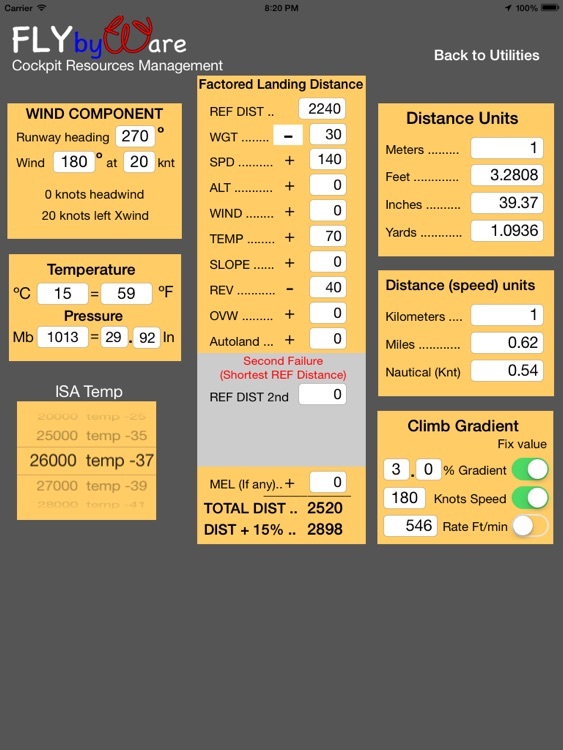 Electronic Flight Bag concept. 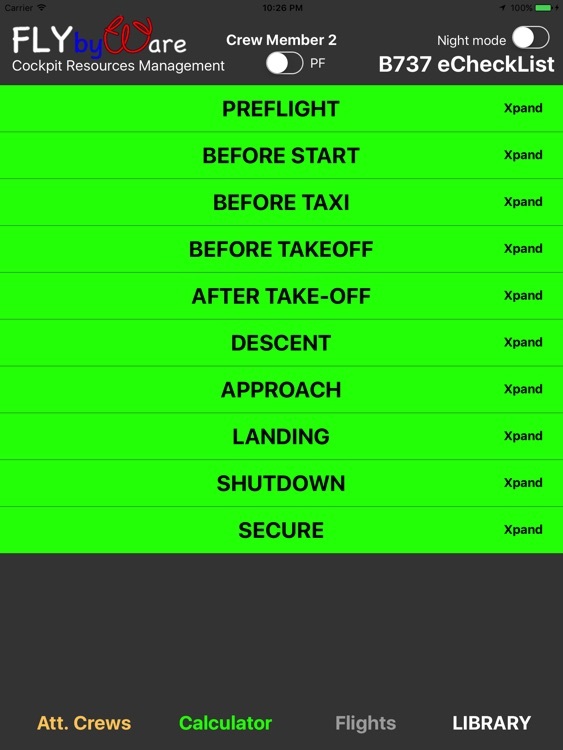 The best electronic checklist for the EFB available. All kind of checklist acceptable, from a Cessna to the Space Shuttle. Common Application to all different fleets. Designed for iPad landscape and portrait orientation. Simple, easy, optimized... ERROR AVOIDANCE. The best to fit with company standards. Checklist state clearly visible through color coding green/gray when completed. 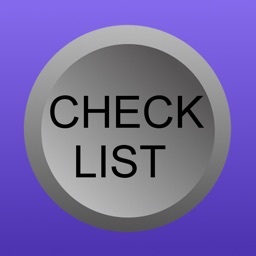 Checklist items get dimmed and check marked by tapping. Checklist can only be completed in sequential order to avoid undesired check marks. Checklist collapse and expand for easy handling. CM1/CM2 can be set in the iPad App settings. PF/PNF switch to adjust the checklists to be readen by the pilot. Colors adapted to night environment minor disturbance and night mode switch to turn half/maximum the display brightness. 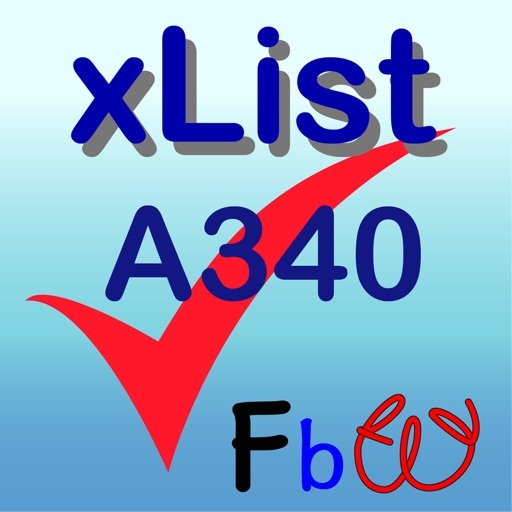 xList creates a text file every time is launched and a record with the name, time and GPS position registered every time a checklist is started or finished. 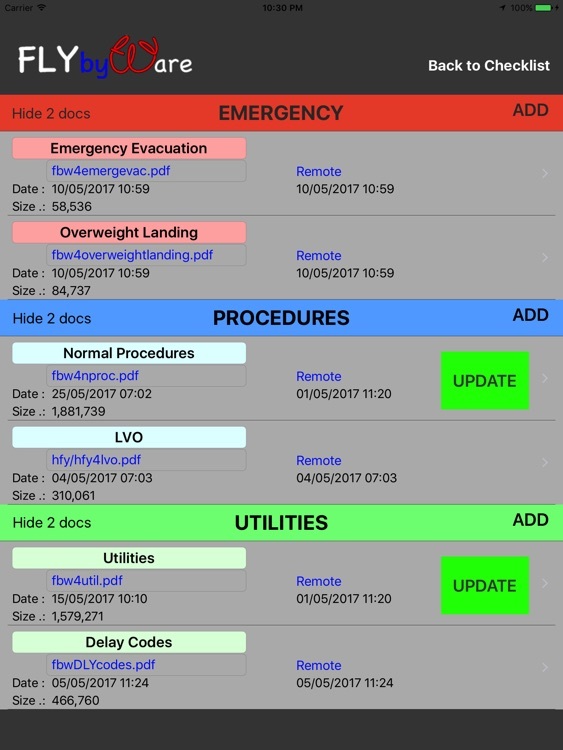 "Attention Crews", a word document with Dispatch, Ops, Training, etc., in real time. The doc is stored in the company server and can be easily modified and dowloaded. xList use an auxiliary View for the review of five auxiliary documents that can be uploaded and personalised. 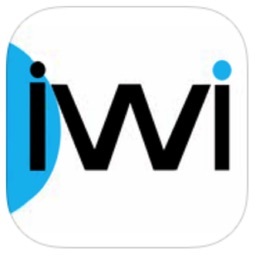 The documents can be pdf, doc, docx, pages, stored in FlybyWare server. Documents can be easily modified stored as needed at NO COST and downloaded by the user when desired. 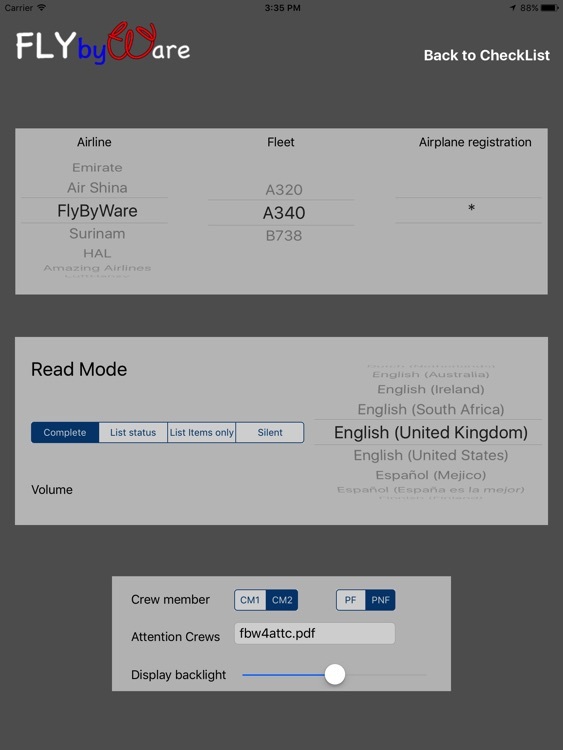 Documents are private, you must notify to your pilots the name of the documents to download, or use the defaults provided by Flybyware. Just as we pilots do every flight using dozens of papers but concentrated in a single iPad application. Checklists are used to check that all necessaries tasks are accomplished for the correspondent flight phase. Tapping over the checklist header, its name is readen aloud by the iPad and a register with the time and position is recorded. Tap over the next item to checkmark and dimm it gray. Only sequential order is permitted. When any checklist is completed, is announced aloud by the iPad, a register with the time and position is recorded, the list is collapsed, its header turns gray and the next list is scrolled at top position. Checklist maintain frozen state when interrupted, even if the App is sent to background or Ipad is turned off. Powerful Attention Crews document, allows web links, image, audio, video and all kind of web content. Designed and created by pilots for pilots. Easy tailored to different company procedures and different fleet.